Barilla's Pesto Sauce is an ideal complement to any pasta, imported from Italy where it is made from the finest ingredients. 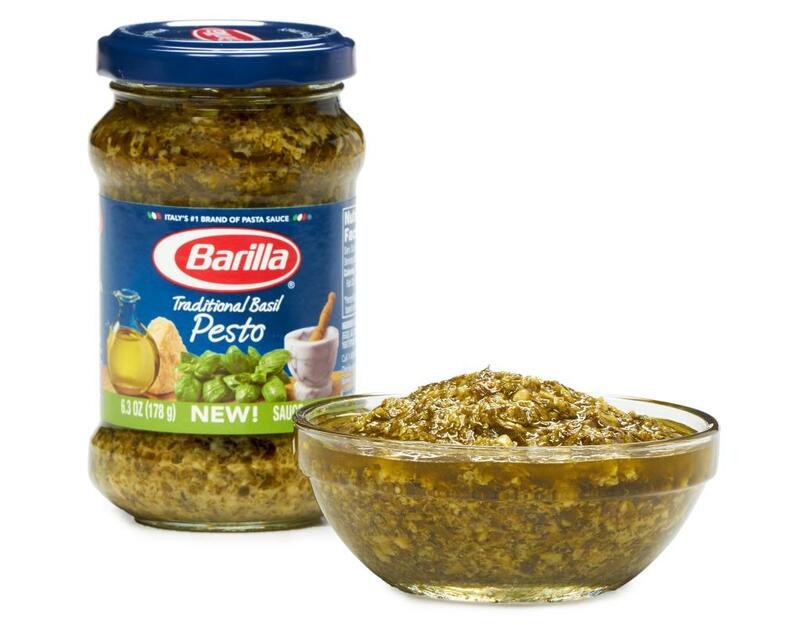 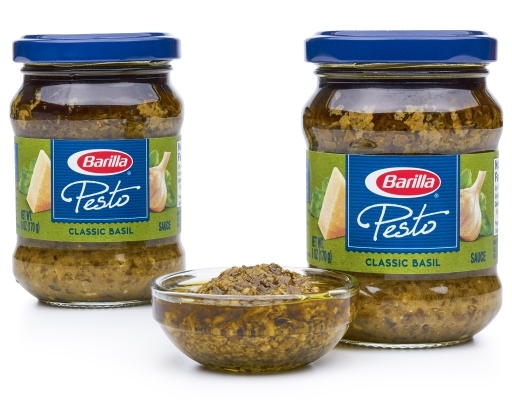 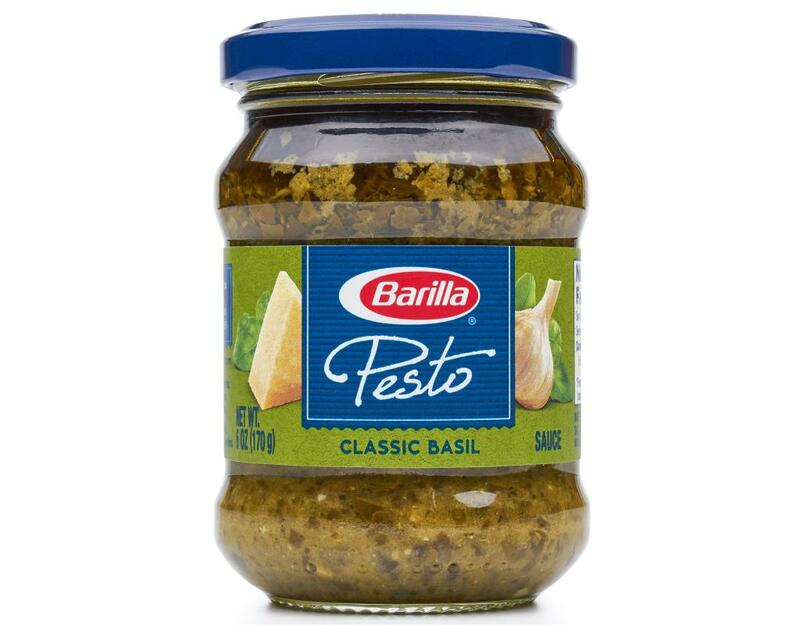 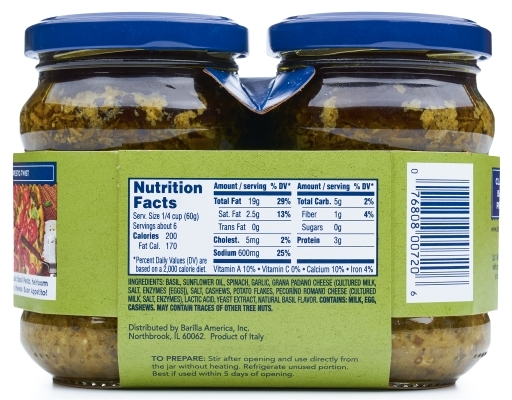 Barilla's authentic Pesto is a product you're sure to enjoy, combining authentic Italian herbs to create a flavor that is balanced and delicious. Its light and clean flavor is delicious on all types of dishes including: pizza, sandwiches, fish, chicken and veggies. It's simple and delicious flavor also goes well with any of Barilla's delicious pasta shapes, like Farfalle or Linguine. 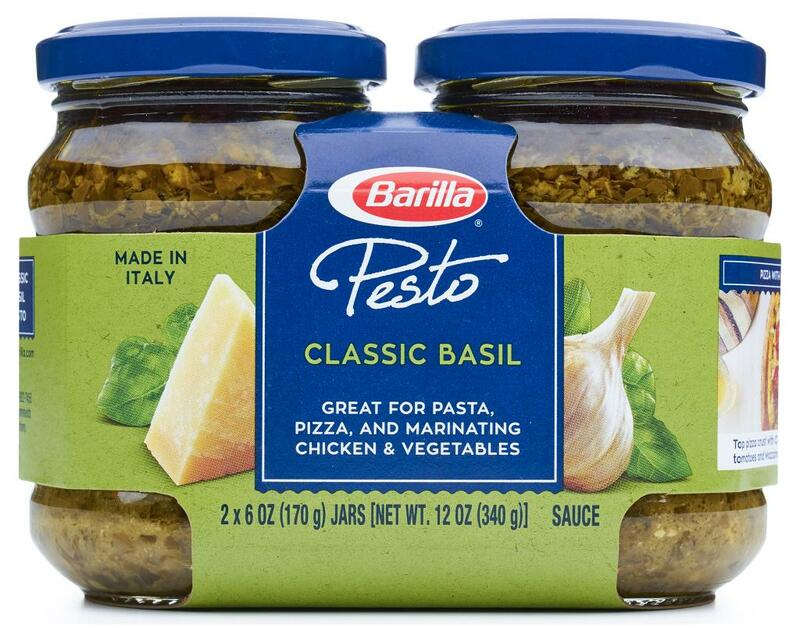 Basil, Sunflower Oil, Spinach, Garlic, Grana Padano Cheese PDO (Cultured Milk, Salt, Enzymes [Eggs]), Salt, Cashews, Potato Flakes, Pecorino Romano Cheese PDO (Cultured Milk, Salt, Enzymes), Lactic Acid, Yeast Extract, Natural Basil Flavor. Contains: Milk, Egg, Cashews. 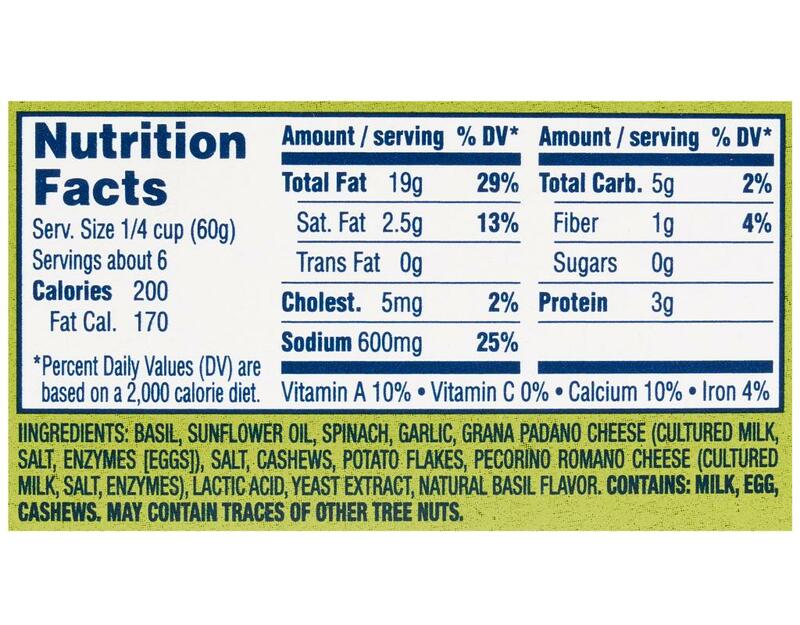 May Contain Traces Of Other Tree Nuts.